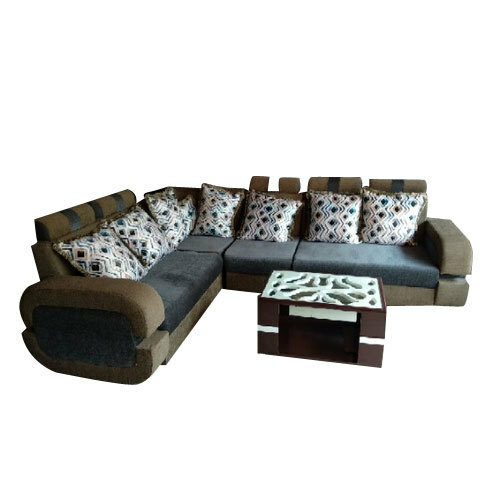 Owing to the wide experience in this domain, we are instrumental in offering L Shaped Sofa Set to our clients. “Luxury Furniture” is passionately engrossed in this occupation of manufacturing and Wholesaling, since 2018. Our corporation is a Sole Proprietorship (Individual) owned entity which is headquartered at Asif Nagar, Hyderabad, Telangana. The assortment of products in which we deal includes Wooden Bed, Bed Headboard, Sofa Set, Wooden Wardrobe, Dining Table, Wooden Chair, Wooden Dressing Table, Wooden Almirah and Center Table. To develop our products as per the set industry regulations and standards, we have settled an avant-garde workplace. For a smooth and productive working environment, we have segmented our workplace into several productive units. Moreover, the guidance of our dexterous professionals has led us to attain a reliable position in the market.